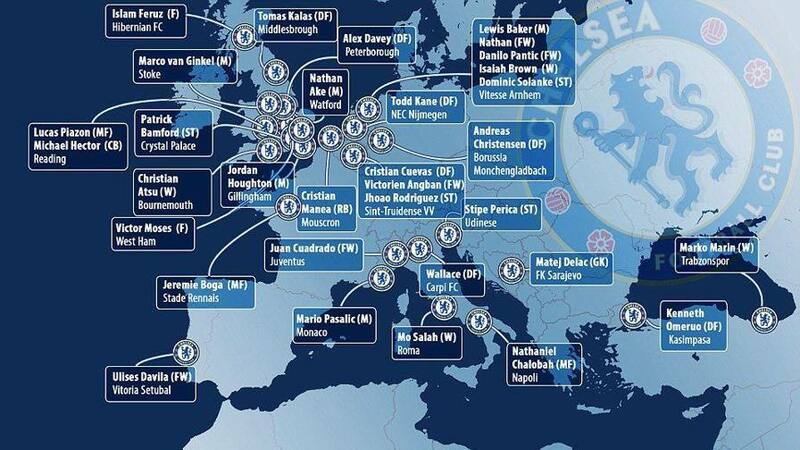 Premier League side Chelsea FC have a total of 33 players out on loan spread all across European football. Before you start asking yourself whether this is considered a normal amount of footballers out on loan from a single club, let me put this statistic into perspective. Between the "other" three of the top four Premier League clubs from last season, Arsenal, Manchester City and Manchester United have a total of 13 players out on loan. Stoke City and Everton have the lowest number of players out with 1 each, while the second highest EPL club with footballers out on loan is Liverpool who comes in 19 behind Chelsea with 14 players loaned out this season. To say the least, the number is definitely not "normal", but who are these guys and where will they be playing this season? Within the United Kingdom a total of 11 Chelsea FC players will be putting on another club's shirt on this year. The names that are most familiar for fans around the world include the likes of Czech 22 year old Tomáš Kalas at Middlesbrough and Brazilian Lucas Piason along with Jamaican Michael Hector at Reading. As far as Premier League clubs are concerned Dutch defender Nathan Aké will be playing for Watford, Victor Moses at West Ham, Christian Atsu at Bournemouth, Marco van Ginkel with a return from Milan to play at Stoke and of course Patrick Bamford at Crystal Palace. Chelsea also loaned out Scottish 19 year old Islam Feruz to Scottish Championship side Hibernian. 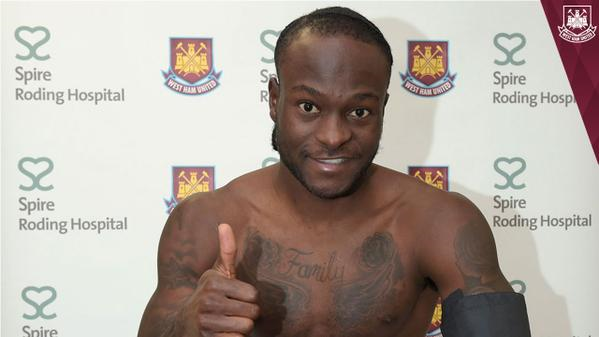 Outside of the UK, the club has quite the contingency of loaned players at Dutch side Vitesse. The club which is owned by a good friend of Roman Abramovich has become a loan "haven" for Chelsea's youngsters and will not only feature 5 Chelsea players this season, but also Portuguese manager Rui Faria. Among those on loan at Vitesse is highly rated U19 English midfielder Isaiah Brown. 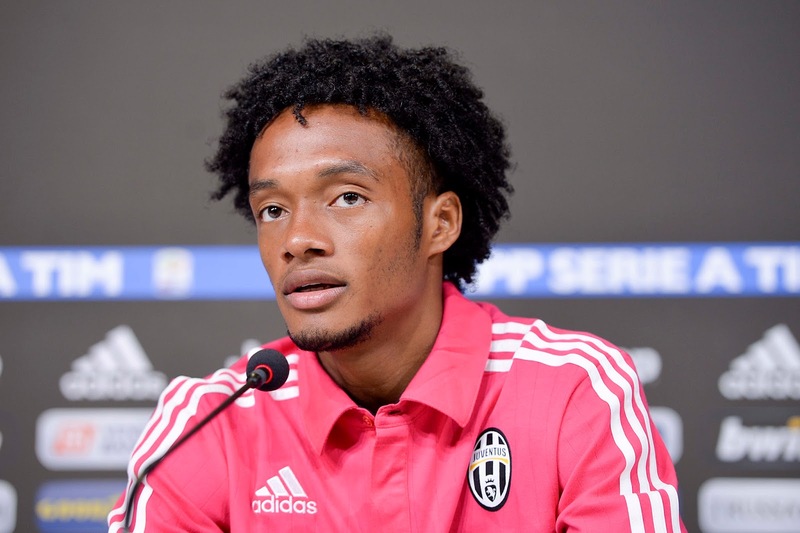 The bigger names that have left the club in pursuit of more playing time but without a permanent deal in place include the likes of Ecuadorian winger Juan Cuadrado, who left London for Italian champions Juventus after struggling to adjust to life in the Premier League since his arrival from Fiorentina last season. 23 year old Egyptian star midfielder Mohamed Salah, who was on loan at Cuardado's former club Fiorentina last season went back to play in the Italian Serie A, only this time he will be playing for capital city club AS Roma. One more interesting name on the insane list of Chelsea loanees in Europe includes highly rated 20 year old Englishman Nathaniel Chalobah. After spending the last 3 seasons out on loan in lower league and small English clubs such as Watford, Nottingham Forest, Middlesbrough, Burnley and Reading, Chalobah will be playing outside of England for the first time in his career after being loaned out to Ligue 1 French side AS Monaco. Seven paragraphs later and I still managed to cover thirteen of the thirty-three Chelsea FC players out on loan in Europe. The Blues have youngsters out in Belgium, Portugal and Turkey, along with the leagues already covered with the players above. But while it's a given that some may never see the day when they put on the blue shirts and step on the pitch at Stamford Bridge to make their senior debut for the London club, for many these loan spells are the perfect recipe not only to develop their skills, but to show the club staff that they deserve to be considered for the future of Chelsea Football Club.